The World University Games, or the Universiade, is organized by the Fédération Internationale du Sports Universitaire (FISU). The age limitation for the athletes is from 17 to 28 years old, and only college students and those who have graduated no more than two years ago can participate in the games. The first Universiade was held in 1959, and later the Universiade became a world-level comprehensive games only next to the Olympic Games, therefore it has been known as “the little Olympics.” Since the first Universiade in 1959, countries worldwide have attached great importance to it, and kept sending their best athletes to compete in the games. According to the report, Ko Wen-je, the mayor of Taipei, inspected the football pitch at the Yingfeng Riverside Park on November 28th, 2016. 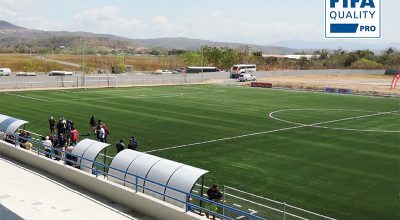 Having put on a jersey, the mayor took a try on the pitch, and complimented that the pitch was very beautifully done. One of the staff of the Public Works Department of Taipei disclosed that the examiners from the FIFA-appointed lab exclaimed when they carried out the field test of the Yingfeng Riverside Park football pitch, that it was “the most beautiful football pitch” they have ever seen in their life. Indeed it is a magnificent and beautiful pitch. On the side, there is the beautiful scenery of the Keelung River and the ferris wheel, and at night people can enjoy the view of the famous Taipei 101 from afar. 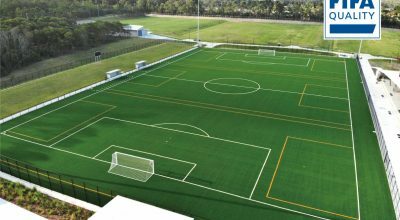 As one of the 9 FIFA Preferred Producers, CCGrass now has more than 100 FIFA-certified pitches all over the world. 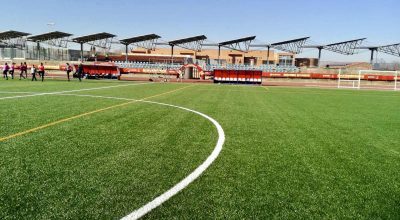 With the support of our partners, CCGrass spares no efforts in building a better sporting environment by bringing more extraordinary artificial grass pitches into the world!